Nevada raised its renewable electricity standard (requirement) from 15% by 2025 to 50% by 2030. California approved new standards requiring that solar panels be installed on the roofs of nearly all new homes, condos, and apartment buildings by 2020. California approved the “Million Solar Roofs of Energy Storage” bill. California passed a law requiring 100% clean energy by 2045. The California Public Utilities Commission (CPUC) kicked off a $1 billion Solar on Multifamily Affordable Housing (SOMAH) program — $100 million a year for solar power on multifamily housing buildings. New York started becoming much more of a solar power player in the United States, with 26 new large-scale solar power plants approved for development, a community solar push, and broader efforts to stimulate the industry. Washington, DC, passed a 100% renewable energy bill. The DOE awarded research grants to several universities to develop new solar integration technology. The DOE also issued $72 million to efforts at next-gen concentrated solar power (CSP). The Trump administration awarded $46 million for solar power & grid resiliency progress. Trump tariffs on Chinese solar panel tariffs got implemented in the first quarter of 2018, based on an obscure, absurd, irrational, counterproductive law no one treated as serious. Minor backlash outside of the cleantech world and in the major media almost totally missed the story — which is that more US jobs will be lost than saved or created. Did that poor reporting and lack of attention empower Trump to implement steel tariffs as well? 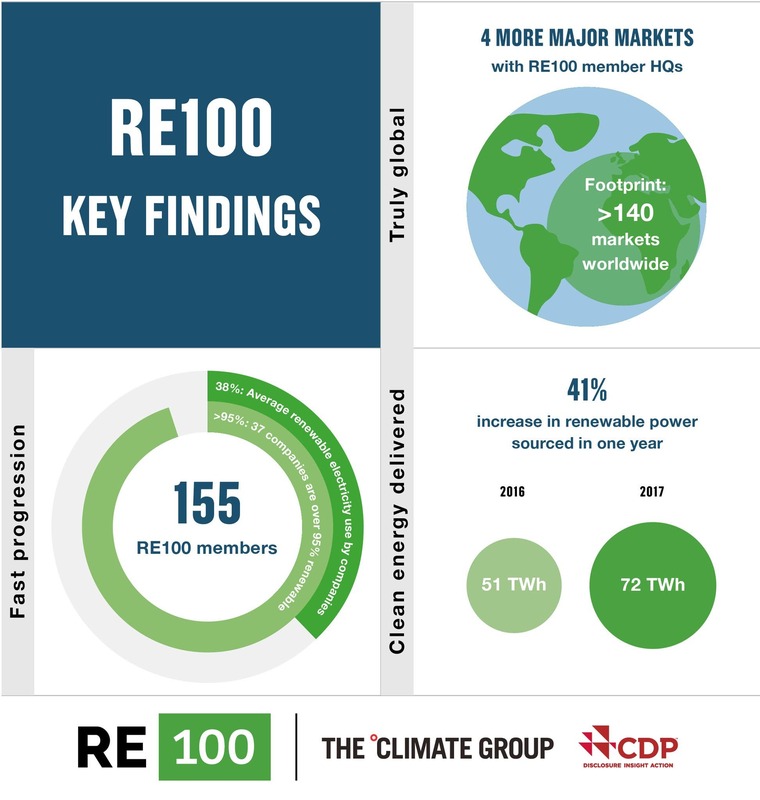 10 US cities modeled how to get the US to 100% clean energy. The Australian Renewable Energy Agency invested in a 5 gigawatt wind & solar energy push. Moreland, Australia, launched a solar power program for renters and landlords. Victoria, an Australian state, announced it would increase its renewable energy target to 50% by 2030. Yep, that’s the same as Nevada’s new target. France announced that it would “close the country’s remaining four coal-fired power plants by 2022 and 14 of the country’s 900 MW first-generation nuclear reactors by 2035.” Naturally, they’d be replaced by wind and solar power plants. Austrian Federal Railways (ÖBB) launched a pilot project powering its trains with solar power. The European Union removed trade barriers on Chinese solar panels. The European Union passed a new legally binding EU-wide target of 32% renewable energy by 2030, which is expected to result in strong small-scale solar growth in the EU, as well as more large solar projects. The Green Climate Fund approved $1 billion for climate action in developing countries. India announced $1 billion in assistance for solar power projects in several African countries. IRENA teamed up with Southeast Asian countries to scale up renewables in the region. Azuri Technologies and Unilever Kenya started bringing pay-as-you-go solar home systems to off-grid homes in Kenya. 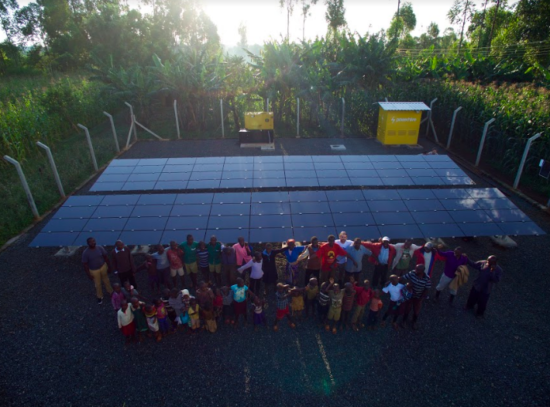 Kingo, backed in part by Leonardo DiCaprio, aims to bring small-scale solar + storage to 500 million people in Latin America. Nissan brought “all-in-one” solar + storage to the UK market for EV drivers who want to go a step further — or non-EV drivers, for that matter. Building on its EV leadership, it also started offering energy storage from 2nd life batteries. 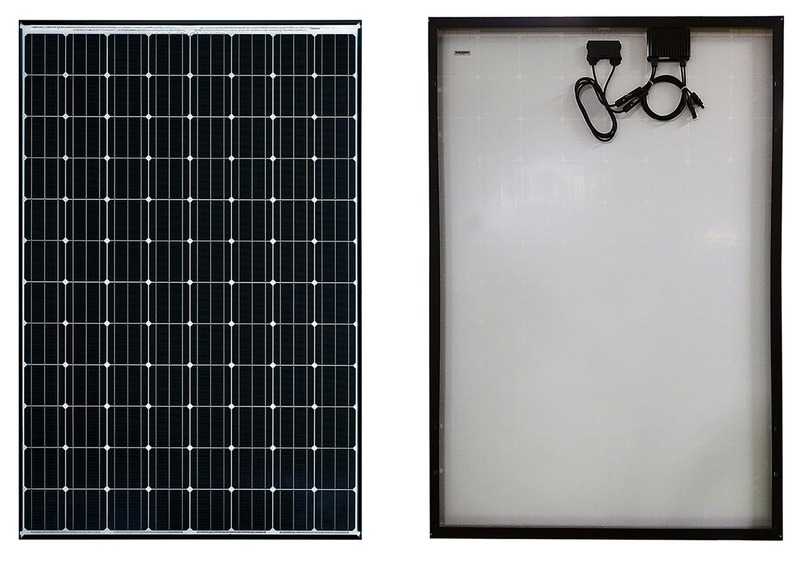 Panasonic & SolarEdge announced a new power-optimized solar panel that speeds up installation times. Pika Energy Storage unveiled its upgradable residential energy storage solution. Simpliphi Power, another California-based energy storage company, cut its prices after seeing a tripling of its sales. SolarEdge announced that it would acquire solar energy storage firm Kokam. sonnen & tiko Energy Solutions received pre-qualification from the transmission system operator for the grid in Germany, TenneT, to leverage its existing distributed network of energy storage systems pooled into a virtual power plant to provide primary balancing power. sonnen launched a second sonnenCommunity in the US, this time in Manatee County, Florida (which is actually the county I live in). sonnen launched the EcoLinx for residential energy management. Sunflare brought a new solar shingle to market. Sunnova introduced a solar + storage offering, SunSafe, in the US. SunSafe uses the Tesla Powerwall 2 for the storage. Sunnova brought its new solar+storage offering to its home state of Texas. Sunnova also rolled out residential solar insurance nationwide. Sunrun was ranked the leading residential solar-plus-storage vendor. Tesla slashed its home solar prices 10–20% thanks to cost benefits from moving sales into Tesla stores. Tesla also announced that its Powerwall energy storage system is getting new features … at a higher cost. Western Australia, another Australian state, started introducing a Tesla, Synergy, + Western Power “PowerBank” community storage system to residents in Meadow Springs who can take part in the trial. 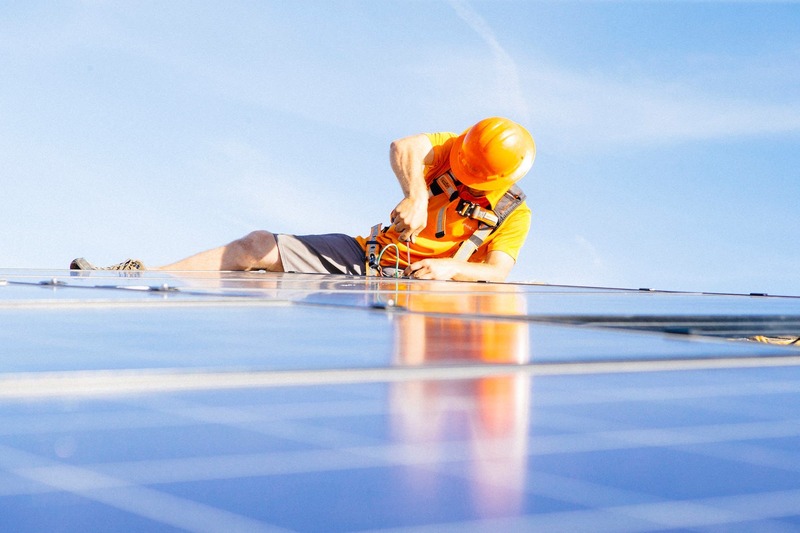 Vivint Solar started offering solar leasing in the Sunshine State, Florida, and Illinois. Vivint Solar reached 1 gigawatt of rooftop solar power capacity in the US. In Connecticut, solar power showed its muscle by winning 9 out of 12 auction contracts. Solar has become the most competitive option for new electricity even in Connecticut! California utilities sped up replacements of natural gas peaker plants with large battery storage units. California utility PG&E proposed a massive 730 MWh, 567.5 MW battery storage project. California got its first floating solar power system. ACWA Power won a contract for a 250 megawatt solar PV power plant in United Arab Emirates (UAE) at an extremely low bid of 2.4¢/kWh, a record low in the country. ACWA Power also won a solar power plant contract in Saudi Arabia for 2.4¢/kWh, an apparent world record at the time. A record-low US solar power price was also set, 2.155¢ per kWh (with an escalator) for a project in Nevada. That was right after a record-low US solar price bid in Arizona. Enel Green Power reached 1 gigawatt of solar power in Mexico. Enel announced an intention to invest €10.6 billion into 11.6 gigawatts of renewable energy in the next 3 years. Portugal indicated it will be getting 31 new solar power plants totaling 1 GW of capacity by 2021. Indian coal mining companies announced plans for $1.6 billion of solar investment. Global Infrastructure Partners acquired a 4.7 gigawatt SunPower solar project pipeline. World Bank committed $1 billion to battery storage in developing countries. Capital Dynamics closed $1.2 billion of new investment in a clean energy infrastructure fund. India announced plans for a 5 gigawatt solar park. Yes, 5 gigawatts! The solar park is to be located in Gujarat. A few months later, India announced plans for a 25 gigawatt solar power park. Yes, 25 gigawatts! The solar park is to be located in Jammu & Kashmir. Vestas started testing a solar + wind hybrid project in Spain. ACWA Power became 1st utility anywhere in world to adopt blockchain currency SolarCoin. WePower raised $40 million for blockchain-based Green Energy Trading, the largest ever ICO in the energy sector. Greenpeace Energy, a Germany electric utility, has “proposed a takeover bid for the lignite open-cast mines and power plants currently belonging to German electric utilities company RWE, to shut them down by 2025.” Those power plants would be replaced with wind and solar power plants. Floating solar could supply 14% of the USA’s electricity needs, according to a report published by the US Department of Energy’s National Renewable Energy Laboratory. US electricity from renewables surpassed US electricity from nuclear for the first time. The Institute for Local Self Reliance released a report showing where “distributed solar” is leading in the US. IHS predicted that the global solar industry will reach 123 GW of new capacity installed in 2019, a record-breaking forecast indicative of all the progress in the solar energy industry. 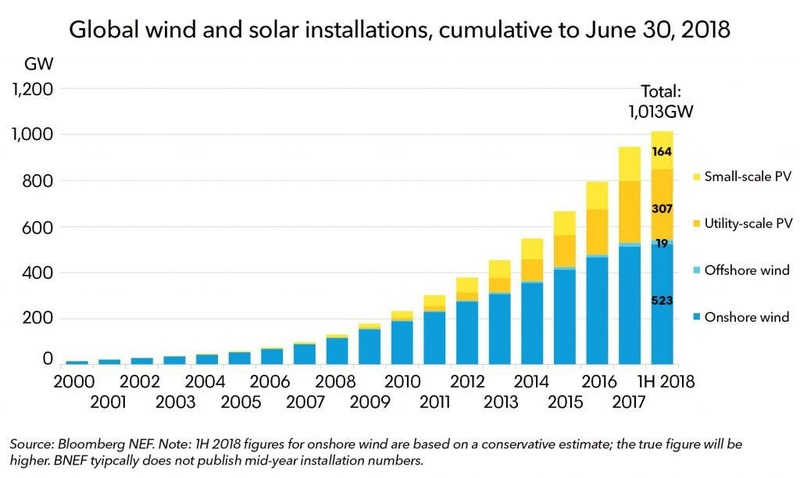 BNEF estimates that the world passed 1 terawatt (1,000 gigawatts) of globally installed renewable energy capacity sometime in June 2018. Stanford mapped approximately every solar roof in the US and found 1.47 million. Environment America indicated that new home solar laws and loans could triple the country’s solar base by 2045. Indiana is getting more new jobs from renewable energy than any other sector, according to research from Clean Energy Trust and the national, nonpartisan business group E2. A study found that US solar tariffs will cost customers $236.5 million. Another study found that US open market solar funding rose $800 million during the first 3 quarters of 2018. Research found that home solar loans have passed up third-party financing for rooftop solar systems in 2018. Last year, loans passed up cash to become the second most popular option to pay for home solar power systems. A new report found that new renewables are cheaper than old coal in Southeast Asia. Another new report found that “not one country” is on track to limit global warming to 2°C. NIPSCO, an Indiana utility, estimated that a renewable energy future will save customers $4 billion. Global floating solar power capacity passed 1 gigawatt. UK renewable power capacity hit 42 gigawatts in the third quarter and passed up fossil fuel power capacity. Maryland published a report indicating that the economic value of solar power in the state over the coming decade would be a whopping $7 billion. 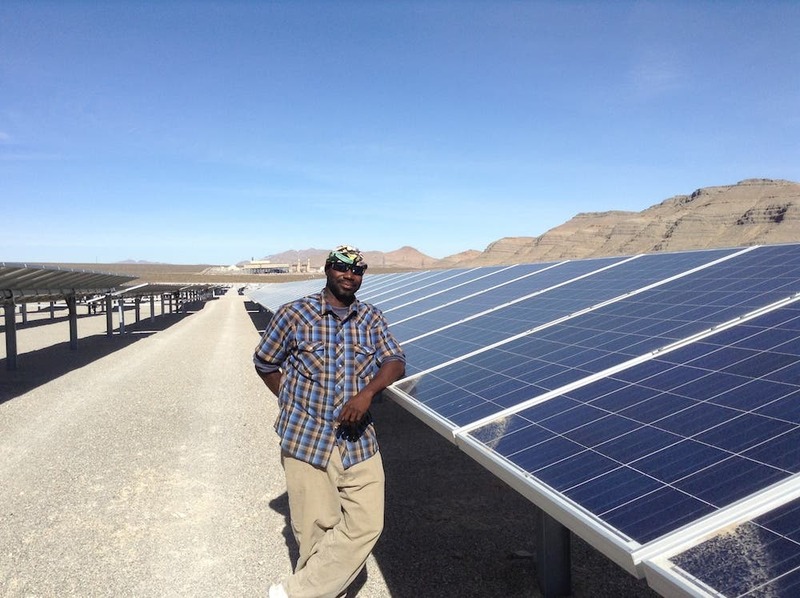 HBI and IREC developed a program to help at-risk youth get jobs in the solar power industry. Sony moved its 100% renewable energy goal up by a decade. Shell rejoined the solar energy market, after a long hiatus, acquiring a $217 million stake in Silicon Ranch Corporation and then putting money into a UK solar PPA. Capital Dynamics acquired First Solar & SunPower Yieldco 8point3. 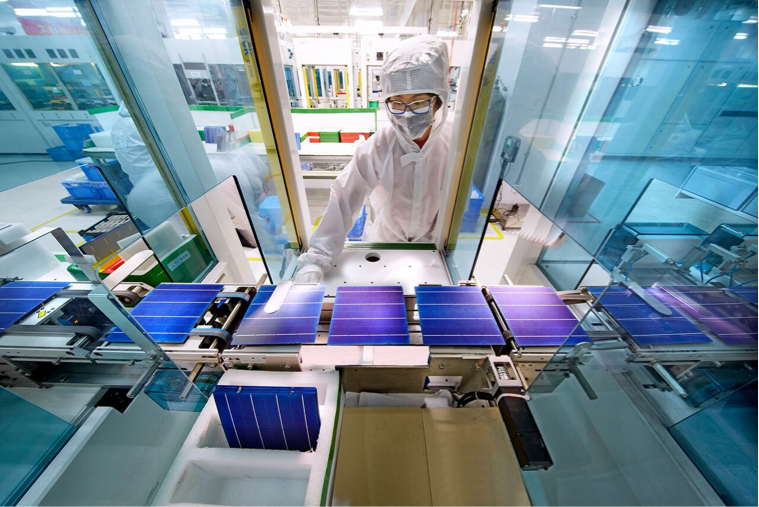 Hanwha Q CELLS, a Korean solar cell and solar module manufacturer, announced that it would build a +1.6 gigawatt solar module factory in Georgia (the US state, not the country). Hanwha Q CELLS also went private for $825 million a few months later. Solar tracker producer Soltec raised €100 million for expansion. 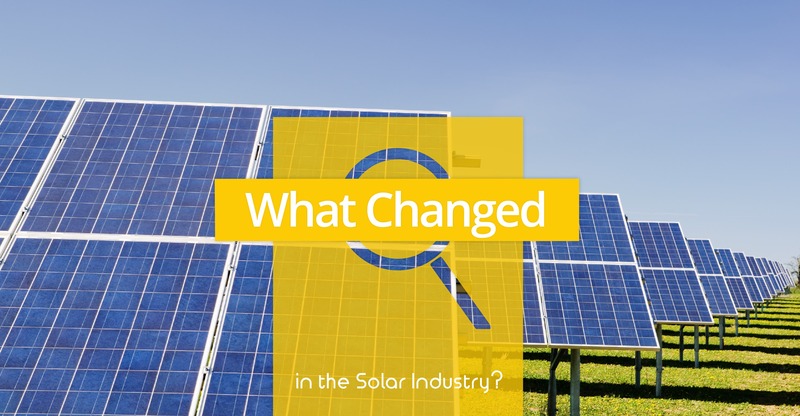 Solar energy emerged as the top new microgrid energy source. The US Wind Energy Foundation rebranded as the Wind Solar Alliance. 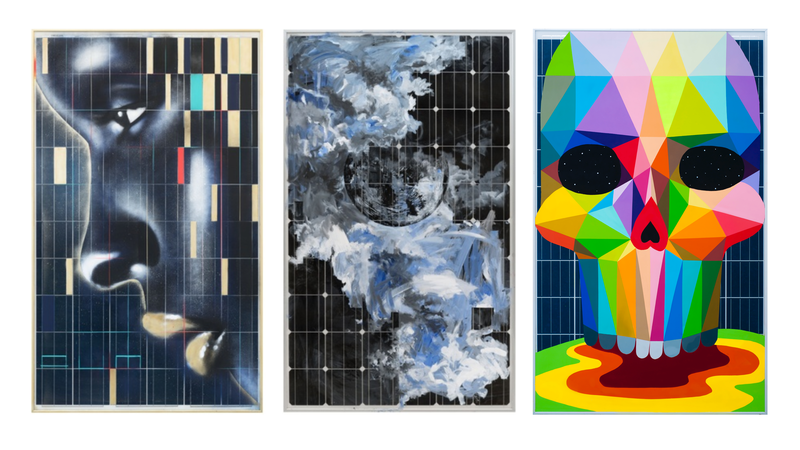 The Solar Panel Art Series made its way to North America, with a launch in NYC.